University President Thomas LeBlanc said at the end of an interview with a campus radio station that he can "live with" the widespread criticism of this year's Commencement speaker because it was mostly "privileged" non-science and engineering students who are upset with the selection. University President Thomas LeBlanc said at the end of an interview with a campus radio station that he can “live with” the widespread criticism of this year’s Commencement speaker because it was mostly “privileged” non-science and engineering students who are upset with the selection. LeBlanc defended the choice of National Academy of Sciences President Marcia McNutt as Commencement speaker in an interview with WRGW, posted Thursday. After the interview ended, the host’s cell phone recording picked up a conversation with LeBlanc in which the president asked if there was “that much upset” about McNutt speaking. After the host said students were disappointed because the speaker wasn’t a well-known figure and came from a scientific background, LeBlanc said non-STEM students had been “privileged” at GW throughout the University’s history. LeBlanc, who comes from a background in computer science, is then heard on the recording admonishing McNutt’s critics, citing her position as the first female president of the National Academy of Sciences. Since McNutt was announced as Commencement speaker last month, students, including top Student Association candidates, said officials ignored the input of students in the process of selecting the speaker. During the interview, LeBlanc backed McNutt’s selection, saying her accomplished scientific career made her a good fit to speak to graduates. McNutt received an honorary degree from the University of Miami while LeBlanc was Miami’s provost and executive vice president last year. 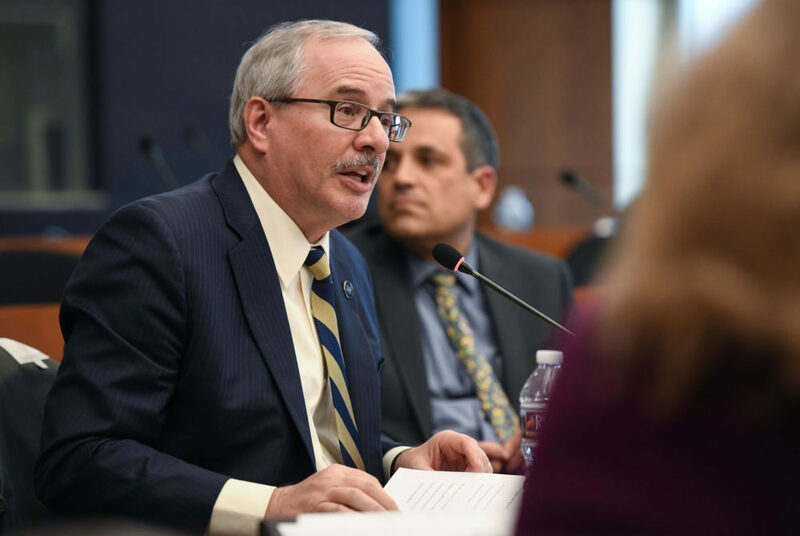 “I find it puzzling that anyone would think that Dr. McNutt is not more than qualified to give the Commencement address at GW and that we’re anything but lucky that we have her coming to speak,” he said.